So how do you publish documents in MS Word containing complex equations? 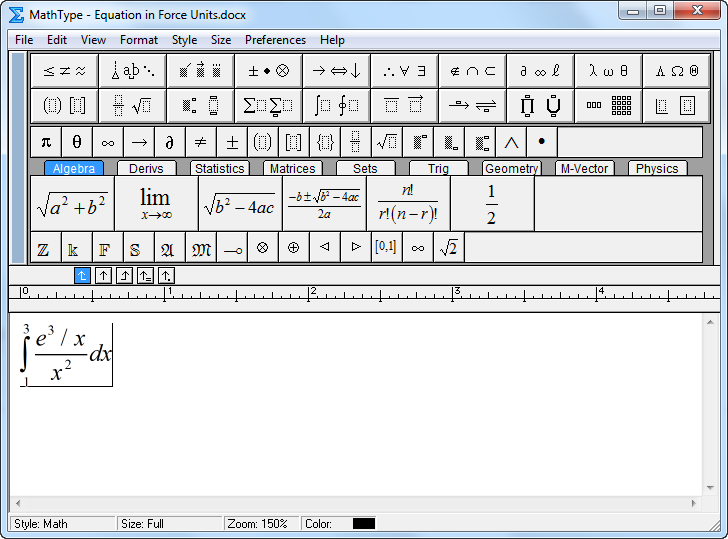 You could use the Word equation editor and copy an copy an image of each equation but that would be tedious. Word supports a plugin called MathType that can export equations in a code called . Fortunately WordPress supports the use of the LaTeX shortcode for typesetting of complex equations. You can add MathType equations directly into your document. The screenshot below shows an example equation open in the editor. From the Preferences->Cut and Copy Preferences… menu you need to select the MathML or TeX option as shown below. You need to modify this so it is formatted as a LaTeX short code. The example below uses the displaystyle code and is formatted with better proportions then the inline style. This entry was posted in Math and tagged mathtype equations by chadj2. Bookmark the permalink. one other, much heavier, level-mass, is extremely helpful https://math-problem-solver.com/ . a number of courses as much as a graduate degree.